Boris Johnson suggested he knows more about making cars than the boss of Jaguar Land Rover today as he insisted the motor industry would survive Brexit. The former foreign secretary said JLR had admitted its current problems were fuelled by a collapse in sales of diesel cars and China. The firm - Britain's biggest carmaker - announced last week it was cutting 5,000 jobs. 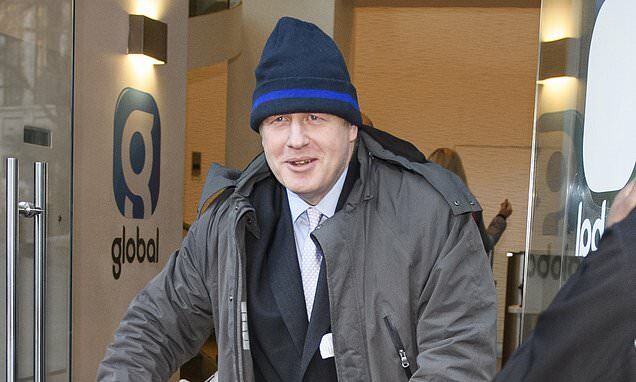 On a call-in with LBC today, Mr Johnson dismissed claims Brexit would damage the economy and said that 'employment was prophesied to increase by half a million as a result of the temerity of the British people to leave'. In response, host Nick Ferrari quoted JLR CEO Ralf Speth saying it would be very critical if we see a hard Brexit or no deal. 'Companies will disappear, plants will close, there's no way to survive hard Brexit for many industries.' I would suggest he knows more about car manufacturers than you do,' Mr Ferrari said. 'Actually that's an interesting point, I'm not certain he does by the way,' Mr Johnson responded. Mr Johnson said that while he was London Mayor he urged Mr Speth to switch focus to electric cars - only to be told JLR would 'stick with diesel'.